The abrupt departure of SAP technology chief Vishal Sikka has prompted a number of questions about the vendor's strategy, particularly in regard to the Hana in-memory computing platform, and what it could mean for customers. There's also some intrigue over what sort of boardroom machinations may have prompted the high profile and widely respected technologist to suddenly leave SAP. Here's a look at both topics. SAP needs a new visionary: Sikka is being replaced by Bernd Leukert, a 20-year veteran of SAP who oversaw the porting of SAP's Business Suite ERP (enterprise resource planning) software to Hana. One of Sikka's roles at SAP was "to act as a C-level evangelist of the technical and business benefits of the technology," said independent enterprise software analyst China Martens via email. "He's fulfilled that role to SAP (and non-SAP) customers and partners as well as to Wall Street (participating in financial analyst calls). There's clearly a need for someone at SAP to continue that mission particularly as the vendor continues to acquire companies and through those purchases reach out to customers new to Hana." "What SAP has yet to achieve is a successful weaving together of all the technology strands of its strategy -- so how HANA, cloud, mobile, analytics, and social -- all intermesh and where the technologies blur into each other," Martens added. Leukert's role puts him in charge of the technical workload, but it remains to be seen whether he'll be given as much leeway as Sikka had to tell SAP's story publicly, or if he possesses Sikka's knack for expansive, thematic rhetoric and ability to communicate with the developer crowd. One SAP user group leader praised Sikka but also hailed Leukert's appointment. "We have been working with [Leukert] a long time," said Marco Lenck, chairman of DSAG (German-speaking SAP User Group), via email. "He is familiar with the concerns of SAP Users. We are looking forward to tackle with him the challenges of the DSAG members and wish him great success in his new role." No harm to Hana: Sikka's departure shouldn't have any ill effects on Hana from a development standpoint, said Holger Mueller, vice president and principal analyst at Constellation Research. For one thing, "it will not be suffering from 'not invented here' syndrome," he said. It would also be good if Leukert places more focus on applications that take advantage of Hana's capabilities rather than Hana as a set of platform technologies, as the former is more important to SAP customers, Mueller said. Also, Sikka "was always pushing the envelope," said John Appleby, global head of SAP Hana at consulting firm Bluefin Solutions and an SAP Mentor, the name given to the most involved members of its user and partner communities. "I think there will be more focus on stability and less focus on innovative things" under Leukert's leadership, he said. "There are pros and cons. SAP moves into a new phase now, where the focus is on execution." Members of SAP's development organization "are devastated," Appleby said. "He was their spiritual leader and they are in mourning. That's the short-term impact." A stain on Sapphire: SAP's flagship conference, Sapphire, is scheduled for just a few weeks from now in Orlando. Sapphire is the company's biggest opportunity each year to lay out its product plans and long-term vision for customers. The timing of Sikka's departure "tells me that it wasn't something that he or SAP had planned in advance," said analyst Frank Scavo, managing partner of IT consulting firm Strativa. Under that scenario, SAP's board may have decided to show Sikka the door immediately in order to make replacement appointments and showcase them at Sapphire as part of soon-to-be sole CEO Bill McDermott's new management team. 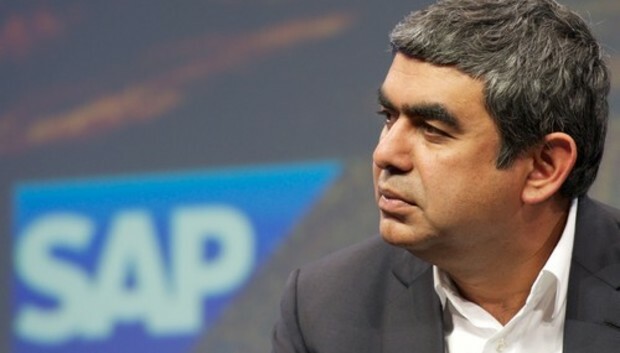 Sikka's frustrations over SAP's dense bureaucracy, coupled with sheer fatigue from heavy workloads over the past decade may have also played a role in his departure. In any case, no matter what public relations measures SAP takes, it's hard to think the chatter over Sikka will have died down by Sapphire. With Sapphire looming, "SAP will have a lot of hard work ahead of itself to show, not tell how innovation remains a priority and what business impact this will have on customers and partners," said analyst Ray Wang, chairman and founder of Constellation Research, in a blog post. "Customers, prospects, partners, and influencers will have to wait and see as much remains to be answered and those decisions may take the management team more time than customers have patience for."